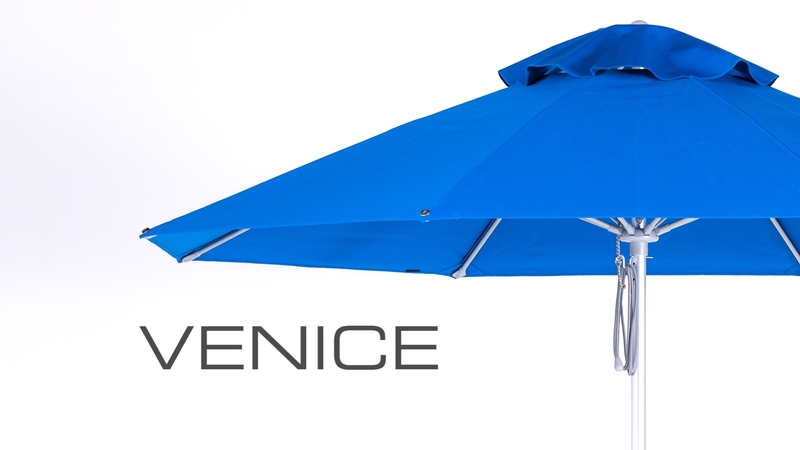 Venice sun umbrellas are the perfect outdoor umbrella for tough commercial environments and windy locations. 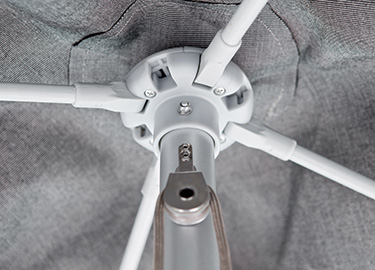 The umbrella frame comes with a residential 5 year back to base warranty (3 years for commercial). Our Recasens solution-dyed acrylic canvas comes with a 7 year residential warranty against colour fading and rot (5 years for commercial use). 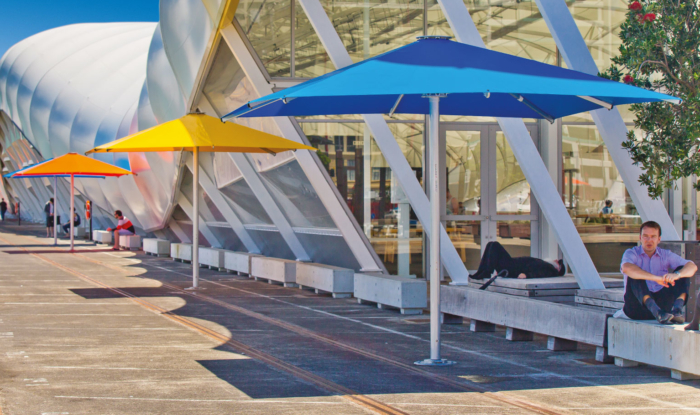 Venice sun umbrellas are the perfect umbrella for commercial environments and windy locations. 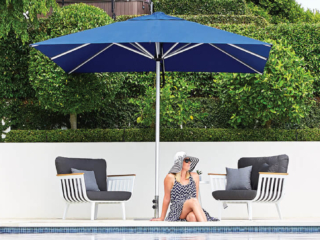 The Venice Sun Umbrella is available in a large range of standard or non-standard colours. CLICK THE COLOURS BELOW. Shade7 uses the finest solution-dyed acrylic canvas manufactured by S.A. Recasens in Spain. 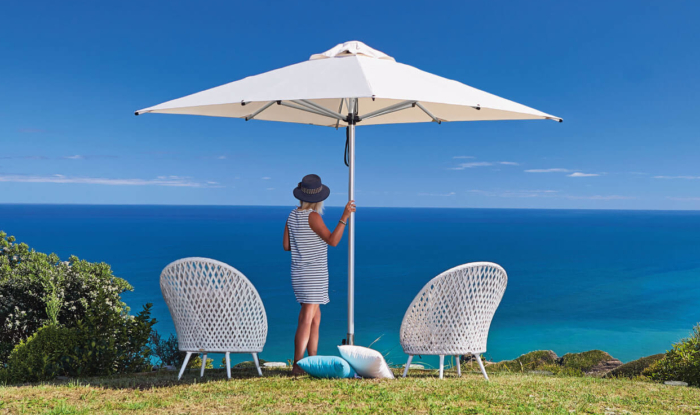 Our premium marine-grade outdoor umbrella fabric comes with a 7 year residential warranty and has the best available colour fastness rating of 7-8 out of 8. 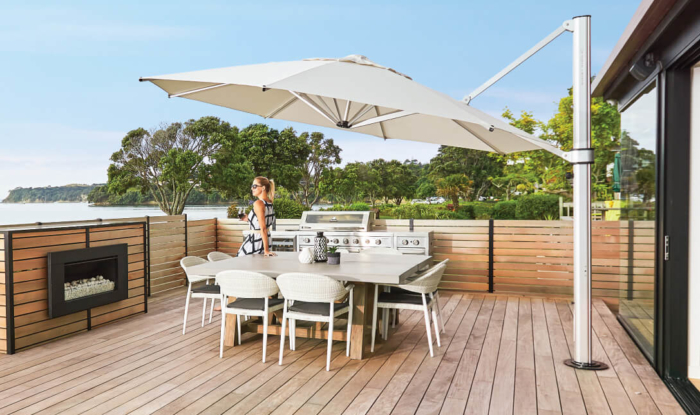 It also has the highest possible UV protection rating of UPF 80 according to European standards, cutting out the maximum amount of harmful UV light for excellent sun protection. 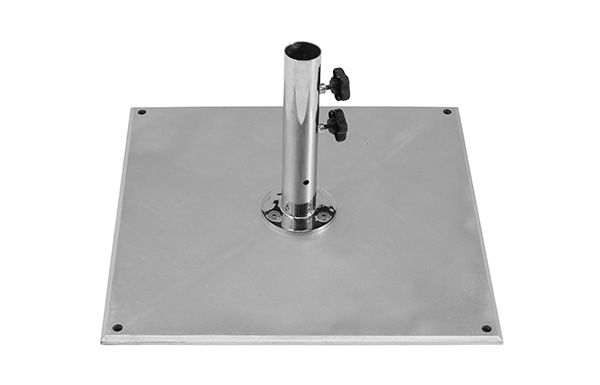 You can install your umbrella using our stainless steel spigot and base plate system. 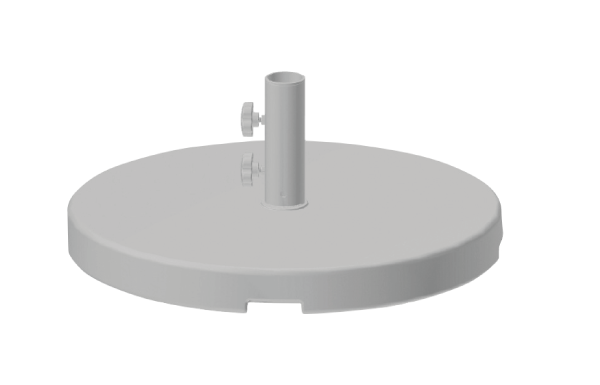 The base plate is bolted down to a timber deck with reinforcing or a concrete patio and the removable spigot is then fixed to the base plate. 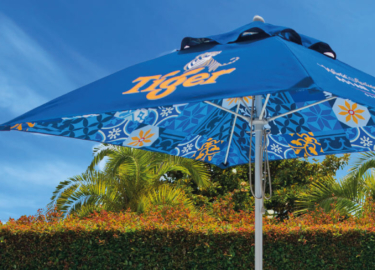 Ideal for large umbrellas and windy locations. A strong and durable 30kg concrete filled grey plastic base. 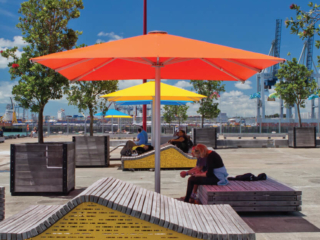 Designed specially to be used for the Venice range of umbrellas. 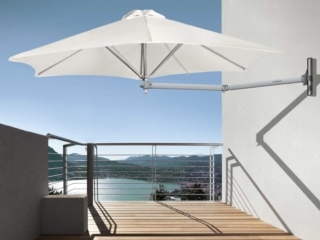 This is our standard commercial and residential umbrella base for our Venice umbrella range. It features a uniquely designed plastic shell that is filled with concrete, and has a powder coated steel spigot pipe. Good for use in areas with moderate exposure to the wind. 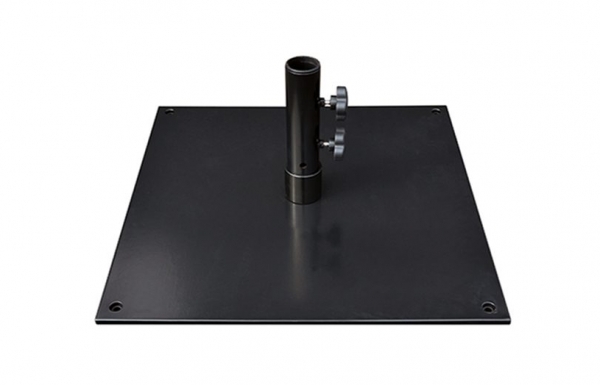 Strong 30kg steel umbrella base. Ideal for the Venice umbrella range. 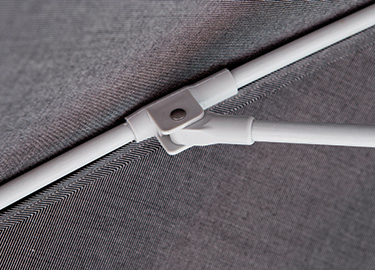 The base is made with powder coated steel making it very strong and stable. Not recommended for coastal environments as it will cause rust over time. Base size: 55cm x 55cm. Ideal for larger umbrellas with low to medium exposure to the wind. 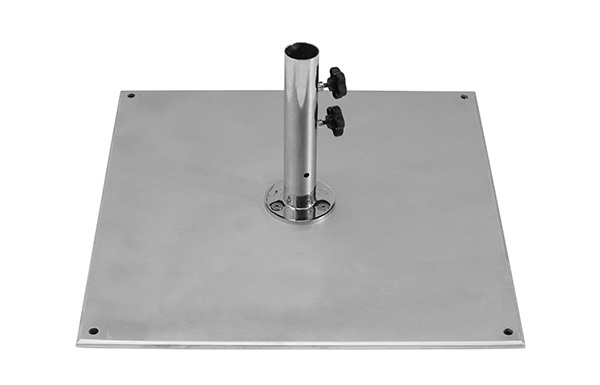 This base is similar to the 34kg Commercial Steel base except that the steel plate is made with galvanised steel and the spigot is made with polished 304 stainless steel. 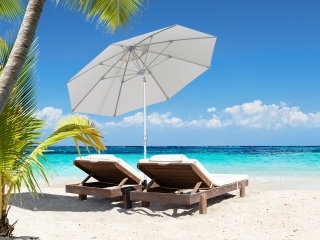 This base is highly resistant to rust making it ideal for coastal environments. Suitable for smaller umbrellas with high exposure to the wind or larger umbrellas with low to medium exposure to the wind. Base size: 60cm x 60cm. 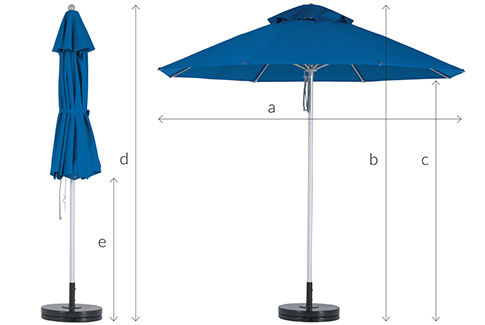 This outdoor umbrella base is suitable for larger umbrellas with medium exposure to the wind. 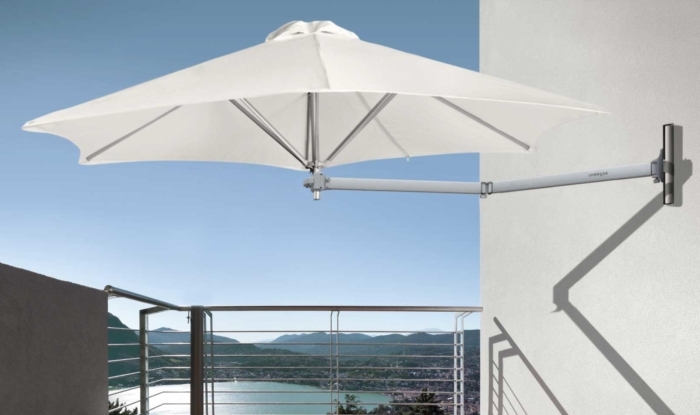 The 45kg premium outdoor umbrella base is made with galvanised steel and a polished stainless steel spigot. 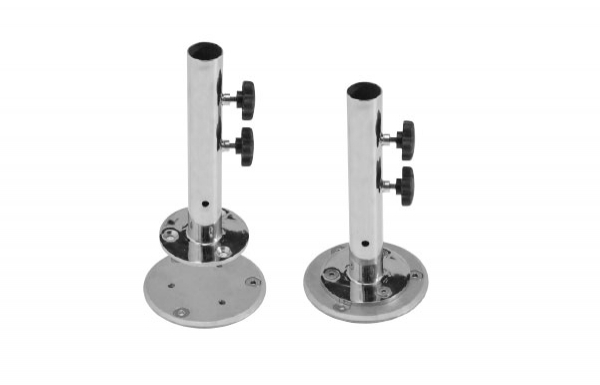 This base is highly resistant to rust making it ideal for coastal environments. 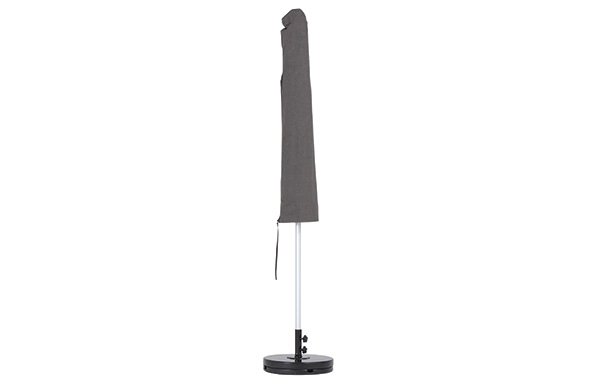 This umbrella base is suitable for larger umbrellas with medium exposure to the wind. Highly recommended and easy to use. 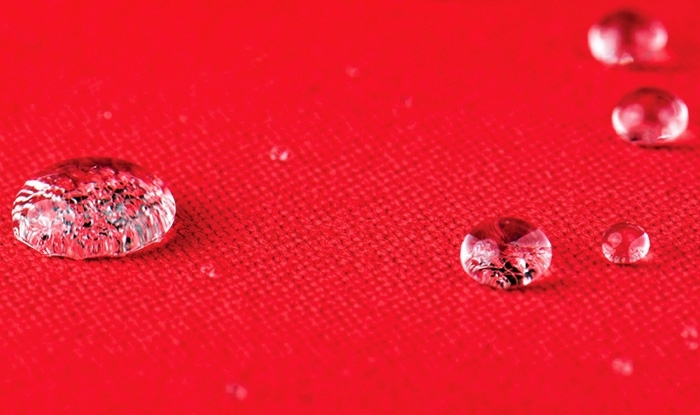 Will double the life of your umbrella fabric. 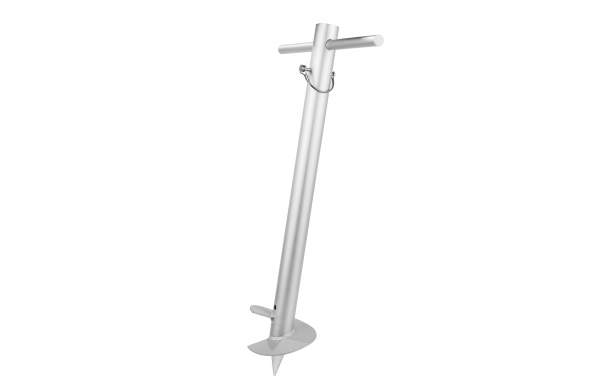 This high quality aluminium sand anchor is designed to securely hold your umbrella in soft sand. 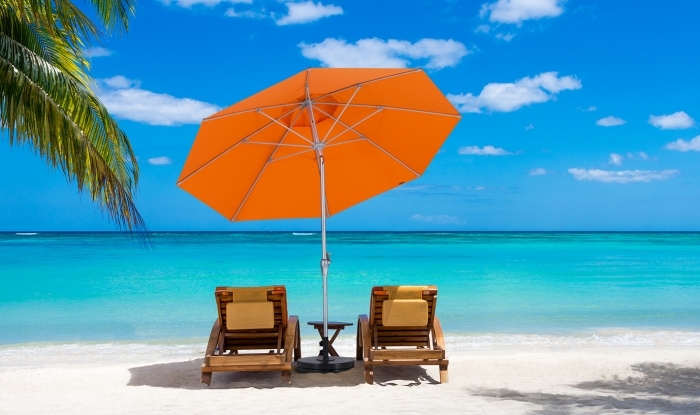 This high quality aluminium sand anchor is designed to securely hold your umbrella in soft sand. Simply use the removable handle to turn the spiral auger and it will dig its way into the sand. Then put your umbrella into the tube and install the stainless locking pin and your done! This sand anchor is made entirely with aluminium making it extremely strong, rust free and durable. 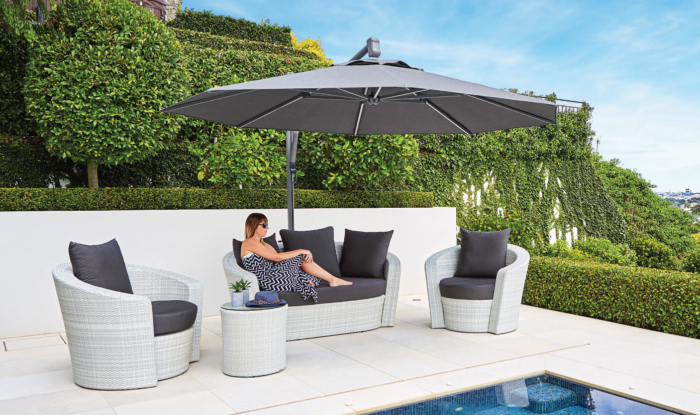 The Venice umbrella is cleverly designed and engineered to be durable, long lasting and easy to operate making it ideal for commercial environments. 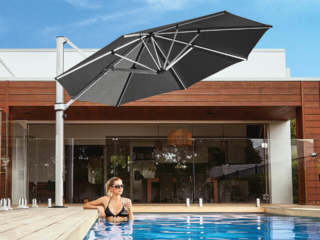 Because of the fibreglass arms the umbrella is extremely durable and is able to withstand very high wind and tough conditions. 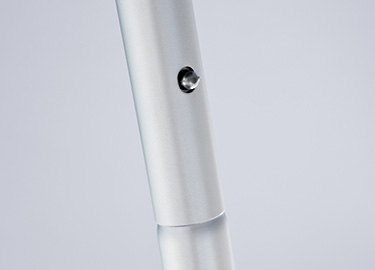 The anodised aluminium post is very strong and able to split in the middle to reduce the length for storage. 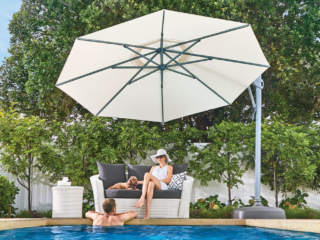 The other benefit of the umbrella is that while it is one of the strongest outdoor umbrellas on the market, it is also one of the lightest umbrella. This makes it easy to carry if it needs to be moved or stored.